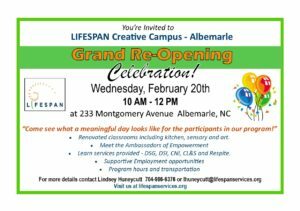 We are pleased to announce the Grand Re-Opening of the Albemarle Creative Campus! The date is February 20 from 10 am to noon! 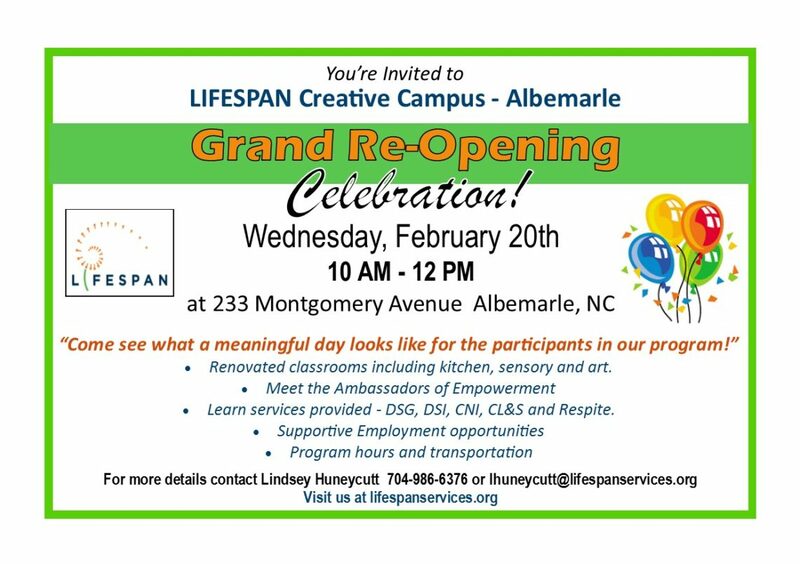 Changes have been going on in Albemarle including a face lift, and Supported Employment’s Piedmont Team is using some of the space for on the second floor for their home base. Our ambassadors and individuals have been busy getting ready to greet our guests and will be ready to show everyone how they spend their days! Our ambassadors are very creative and so are our individuals. You may also see some competitive games going on too. We look forward to seeing you on February 20th!